Cheer in the crowd using the Corinthians Badge Freezer Mug. You put it upside down in the freezer or refrigerator with a minimum of 5 hours before using for the gel freeze, and maximum limit of 48 hours. Moreover, just put your drink on it and it's ready! More info. Cheer in the crowd using the Corinthians Badge Freezer Mug. You put it upside down in the freezer or refrigerator with a minimum of 5 hours before using for the gel freeze, and maximum limit of 48 hours. Moreover, just put your drink on it and it's ready: It keeps your drink cold for much longer. 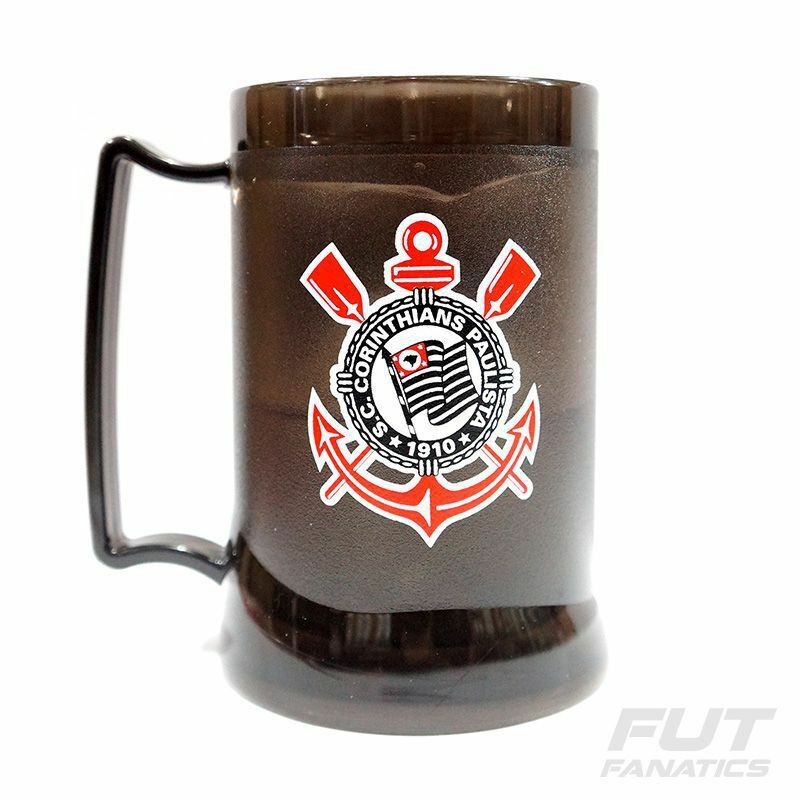 This mug is made with black and transparent gel with the Timão Badge stamped. Sport Club Corinthians Paulista is a Brazilian multisport club based in Tatuapé, São Paulo. Although they compete in a number of different sports, Corinthians is mostly known for its professional association football team. The club currently play in the Campeonato Brasileiro Série A, the top tier of the Brazilian football, as well as in the Campeonato Paulista Série A1, the first division of the traditional in-state competition.